Manual profiling machine for batten roll system. Rollers for vertical (standard) or angle upstand. Profiling machine for standing seam system, suitable for all metals including coated metals. Complete with slitter on infeed and length measuring device. 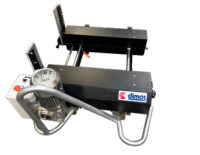 Top of the range profiling machine for standing seam system, suitable for all metals including coated metals. Complete with touch screen control, length measuring, electric cross cutting, slitting. Curves convex pre-formed standing seam panels. Complete with connecting bars to suit profiling machines. Folding machine complete with slitter. Folding machine complete with slitter and beading option. 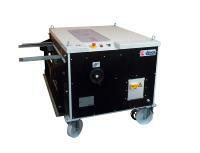 Beading option to fit 2000mm Traide folding machine. 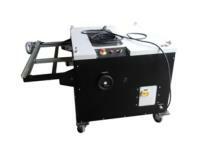 Slitting device for use with Triade folding machine. Required to attach slitter to Triade folding machine. Contact us for options, price and availability.